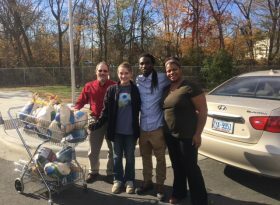 Granville County wants to send a HUGE thank you to local musician, Devon Royster, for his generous donation to the Granville County Department of Social Services of 23 turkeys for families in need this Thanksgiving. We are thankful for the thoughtfulness of community members like you, Devon! All interested persons please take notice that a public hearing will be held by the Granville County Board of Commissioners pursuant to N.C.G.S. 158-7.1 on November 21, 2016 at 7:00 p.m. or shortly thereafter in the auditorium of the Granville County Expo and Convention Center, located at 4185 US Hwy 15 South, Oxford, North Carolina. The purpose of the public hearing is to hear the views of the public on aiding and encouraging the location or expansion of industrial facilities in Granville County, specifically as follows: the expansion of a manufacturing company in Granville County to expand and open up a new office. The company will invest approximately $1,020,000 and employ potentially 50 new employees. The maximum cost of the County-funded improvements will be up to $25,000 in accordance with the County’s funding policy. This project will be funded with general County operating funds. The cost to the County of the County-funded capital improvements will be offset by new tax revenues generated by the company’s capital investment in the project over a period not to exceed five years. The purpose of the public hearing is to hear the views of the public on aiding and encouraging the location or expansion of industrial facilities in Granville County, specifically as follows: the expansion of a manufacturing company in Granville County to expand it existing facility. The company will invest approximately $4,290,000 and employ potentially 50 new employees. The maximum cost of the County-funded improvements will be up to $25,000 in accordance with the County’s funding policy. This project will be funded with general County operating funds. The cost to the County of the County-funded capital improvements will be offset by new tax revenues generated by the company’s capital investment in the project over a period not to exceed five years. 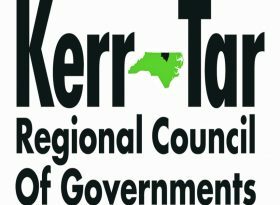 The Kerr Tar Regional Council of Governments is in the process of gathering information from citizens and elected officials from across the region that will help them to better plan for our future. This plan will address our most pressing economic and community development priorities. All Councils of Governments (COGs) across North Carolina are taking a similar survey which will help us to further develop the NC Tomorrow Plan. They ask that you take a few minutes and complete this survey at your earliest convenience. The hope is to have survey results tallied in December. Granville County Government now has an official Facebook account. Please visit https://www.facebook.com/GranvilleCountyGov and “like” the page for updates and news across Granville County. View the 2016 election results for Granville County here.